Red Wine, Green Tea and Dark Chocolate: Alpha Lipoic Acid, Omega-3 EPA and DHA, and Vitamin E lower hemoglobin A1c in diabetics. Alpha Lipoic Acid, Omega-3 EPA and DHA, and Vitamin E lower hemoglobin A1c in diabetics. A study reported in the July-September 2013 issue of the Annals of Medical and Health Sciences Research, found a that supplementation with either 300 mg Alpha Lipoic Acid, 180 mg EPA and 120 mg DHA, or 400 iu Vitamin E resulted in a reduction of hemoglobin A1c and fasting glucose levels in diabetics. These three supplement groups experienced encouraging decreases in blood glucose and HbA1c with no adverse effect. 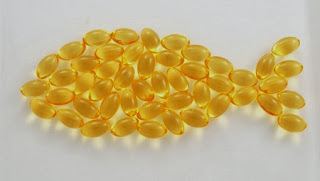 The study authors noted that vitamin E was the most cost effective though the maximum improvement in blood glucose and HbA1c was with the omega-3 fatty acids, EPA and DHA.